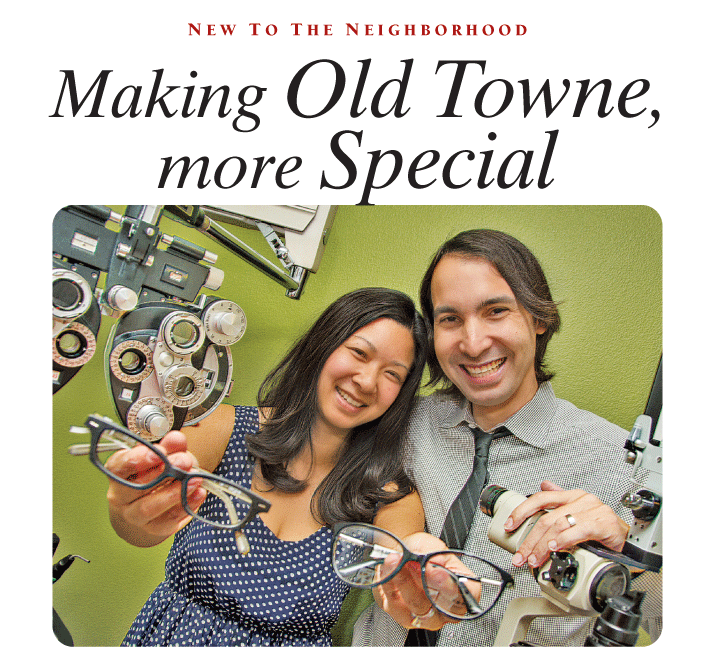 Dr. Ly Nguyen and Dr. Alex Romero recently acquired Orange Circle Optometry on East Chapman. The husband-and-wife team met in Florida at optometry school, but previously lived just 15 minutes apart from each other in Orange. The husband-and-wife team of Dr. Alex Romero and Dr. Ly Nguyen have recently taken over Orange Circle Optometry in Old Towne Orange at 227 East Chapman Ave., #C. The practice, which previously belonged to longtime optometrist, Dr. Robert Turner, is located across the street from Watson Drugs between Orange and Grand on the same block as the Elks Club. According to Dr. Alex Romero, Orange Circle Optometry provides primary eye-care health, including comprehensive eye examinations, contact lens and glasses fittings, laser vision co-management, management of ocular diseases, cataract evaluation and much more. Theres also a great selection of designer frames by Prada, Dior, Coach, Gucci, Versace, Armani and Juicy Couture, to name a few. Originally from Orange, Dr. Romero grew up here and attended Orange High School. He and his wife, Ly, attended Nova Southeastern University in Florida, where they first met. Modernizing the interior, the couple updated the décor with new paint, furniture, fixtures and hardwood flooring. They also brought in new computer technology and state-of-the-art equipment. Since re-opening in August, the practice has been well received by new and former patients alike.